Solo travel can be daunting, but it doesn’t have to be boring! Whether you’re on a business trip, student exchange, or a lone adventure, Cape Town has plenty to keep you busy. The Iziko Museum Mile is located in the City Bowl, and it’s a fantastic way to spend the day. If you’re interested in the social and political history of South Africa, visit the Castle of Good Hope, Groot Constantia, the Slave Lodge, or the District Six Museum. You could also pay a visit to the Planetarium or explore the natural history in the South African Museum. Cape Town’s art scene is thriving, and you could spend an entire day just exploring the hundreds of gallery spaces in the Zeitz MOCAA. There are many other great art galleries, so if you’re interested in art you’ll be spoilt for choice. Many of Cape Town’s restaurants have bar counters to dine at, which is far better than a table for one. You might even make friends with your fellow counter-diners. Whatever the budget you’ve set, you’ll be able to find great food served at a counter. The Pot Luck Club and Chef’s Warehouse are among the best fine-dining restaurants in the city, and both have counters with a view of the kitchen, so you get to see the food prepped and artfully plated. On Bree Street, Long Street, and Kloof Street, you’ll find a number of casual dining options with counters overlooking the street, which make for great people-watching. The City Sightseeing bus is a fantastic way to take in the city, and it’s perfect when you’re alone for a number of reasons. They have audio commentary on board, so you can just plug in your earphones and listen. It’s also where you’ll meet many other visitors to the city, and is a great chance to find someone to tag along with to check out the attractions along the way. If you’d like to get to know your fellow solo travellers, a group tour is a great way to go. 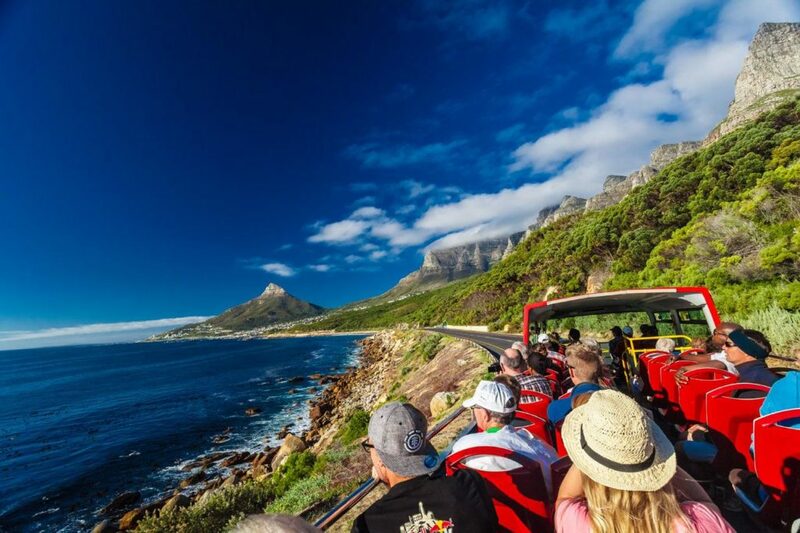 Kiff Kombi Tours are great for alternative tours, from the boozy “Gin Jol” to the “Urban Safari”, which takes in the city’s sights. The crowd you’ll meet is young, and usually ready for a bit of a party. If you want something more mellow, try African Eagle Day Tours. You could also join a free walking tour, if you’d like to spend the time on foot with a mixed crowd. Cycling is a great way to explore the city, with the wind in your hair. There are a number of places to rent bikes, so you can spend the day exploring the city solo. The Two Oceans Aquarium makes for a truly spectacular day out. Who needs company when you’re mesmerised by jellies, fish, sharks, penguins, and the hundreds of other creatures that make up Cape Town’s incredible marine diversity? Wine tasting is, admittedly, better with friends. But on’t despair, because it’s entirely possible to make friends on the go! Here’s our pro-tip: spend a day on the Franschhoek Wine Tram. On board, you’ll meet plenty of locals and visitors, all united in a love of wine. By the time you’ve visited one estate, you’re bound to have made firm friends with your tram-mates. Cape Town has some spectacular hiking opportunities, but it isn’t safe to hike alone. There’s good news though! Many group hikes are available, both spontaneous and planned. 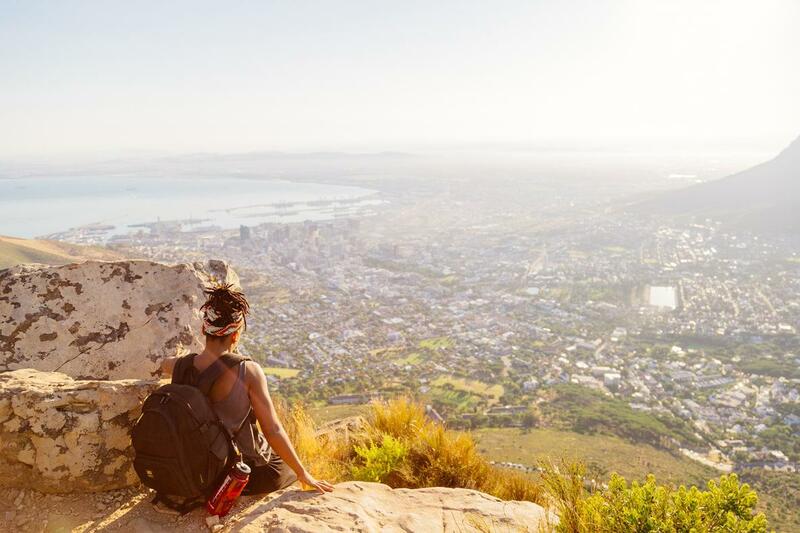 Join the Facebook community Hiking Cape Town to find out about hikes you can join, or get in touch with Cape Union Mart’s hiking club to join guided hikes led by experienced hikers. South Africa’s local literature scene is well worth checking out, and there are regular book launches at several venues in the city. It’s a great chance to immerse yourself in local culture, and meet other folks with similar interests. 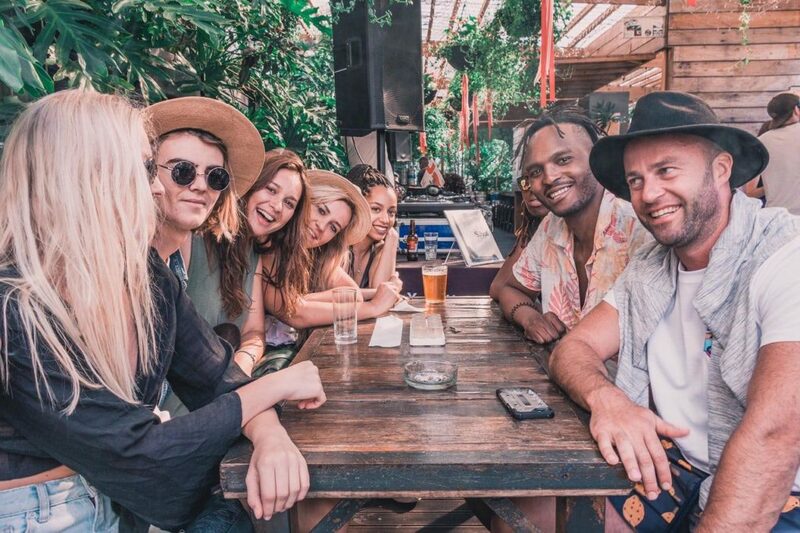 If you’re looking for a party and you want to meet fellow travellers, check out one of the many fantastic backpackers and hostels in the city. You could stay at one of them, or just pop in at the bar for a few drinks. It’s a young crowd, and you’re always sure to find friendly folks who are up for an adventure, a party, or just hanging out and swapping stories. Not everyone likes seeing films alone, but it can be a really great way to spend a few hours. There is usually at least one locally made film on show at The Labia Theatre. The Labia is an old-school theatre experience, all the more enjoyable because there’s a cash bar and you can sip on wine while watching. Eating alone can be one of the more challenging parts of travel, and you can hardly pull up a chair at a strangers table. Instead, there are some really great dining options that allow you to be more social. The Reverie Social Table seats just 18 people, and guests are encouraged to get to know each other and bond over a five-course dinner. 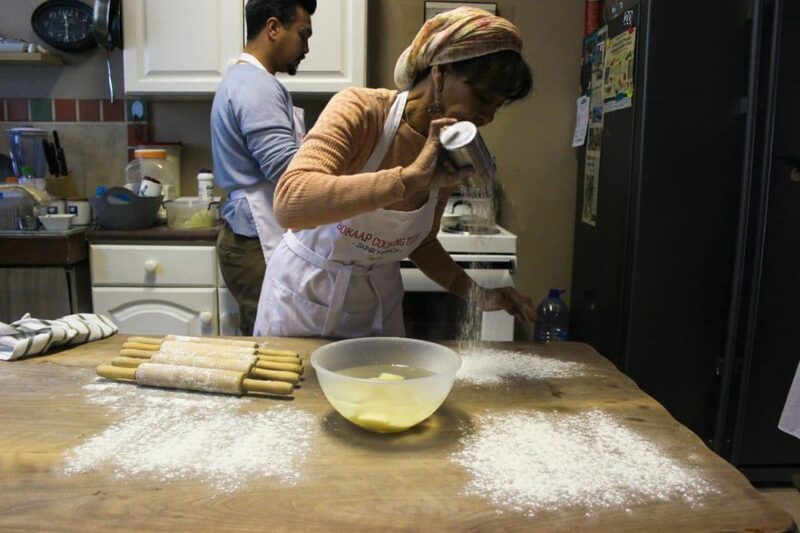 Dine with Khayelitsha is a more casual affair, with authentic local food and the chance to get to know Capetonians from all walks of life. Meals take place in local homes. 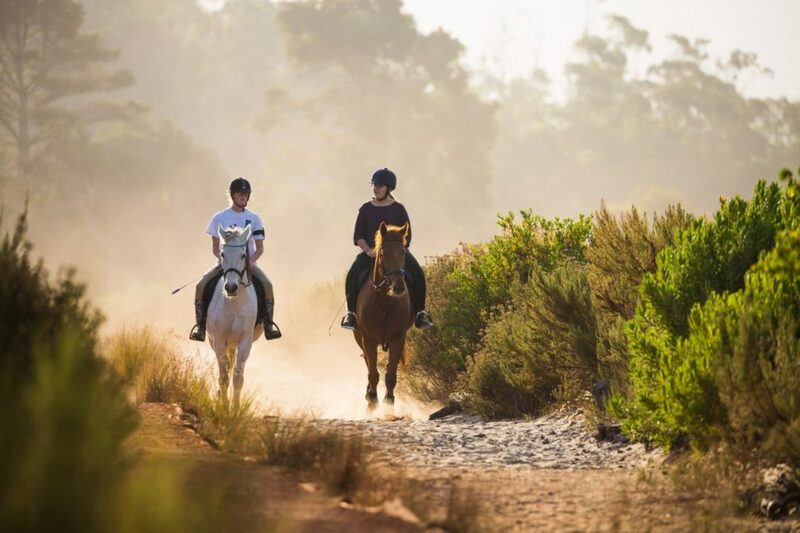 If you fancy the great outdoors, why not see Cape Town on horseback? Go for a beach ride. You’ll be part of a small group, so you’ll have a chance to meet people, but the real thrill here is bonding with your equine guide. Try Pete’s Adventure Farm, Sleepy Hollow Horse Riding, or Wine Valley Horse Trails. Salsa is fun for everyone, no matter your level of experience. NOMAD Bistro & Bar and La Parada both have regular salsa evening. Join the fun, and make firm friends, over some drinks and dancing. Market culture is big in Cape Town. There are plenty of markets where you can shop for curios, crafts, gifts, art, and all sorts of other goods. There are also regular food markets where you can sample some of the best eats in the city. Greenmarket Square is a vibrant permanent market in the city centre, and here you’ll find plenty to do, from exploring the market and grabbing a bite to eat, to checking out the art and discovering the story of the historic cobbled square. A cooking course is another great dining option if you’d prefer not to eat alone. You’ll get to make new friends, learn to make local cuisine, and enjoy a home-cooked meal in the company of your new friends. Paint and sip is a really fun way to spend an evening. You arrive to a canvas, art supplies, and a really welcoming atmosphere. Then, as the name suggests, you can paint and sip! Enjoy delicious wine while you paint. There’s also delicious vegetarian food on offer, and an artist on hand to help you if you need any guidance. Book a Homestay to spend your evenings with delightful local hosts. Depending on your host, you might be treated to delicious local food for dinner, and because you’re staying with locals they’ll have plenty of advice and insight! Cape Town is a thrill-seeker’s paradise. Many adventure activities are pretty hard to do with a partner or friend in the first place, so there’s no better time to get your adrenaline kick than when you’re alone.